Is your family looking for a second car or is a child approaching 16? Are you a young professional on a budget? Does your business need a vehicle? Do you need a car because it's a practical way to get around the Alexandria area, but you'd prefer to put your hard-earned dollars into saving, travel, or your own hobbies? If you can relate to any of these examples then going the used vehicle route is probably the best option for you! At Jerry's Ford we have a great selection of used vehicles with attractive prices for Arlington drivers looking to stretch (or save) their dollars. There's many filters you can select when browsing. Popular ways to refine a search include shopping by year, make/model, vehicle type, and —the big decider —price. The bulk of our inventory is going to be used Ford cars and trucks. Due our "Jerry's Discount" and already competitive pricing, our inventory doesn't stick around too long and is ever-changing. That said, we always have a few different used Escape crossovers, F-150 pickups, and Focus sedans on hand for interested shoppers. If you're looking for a cargo or large passenger van we sometimes have used ones in stock as well, and these are perfect for fledgling businesses that want a professional image, but need to keep a close eye on the spending during the first years. We don't get to get too braggadocios, but we'll toot our own horn today and say how amazing Ford is! Due to its popularity we routinely get shoppers from competing brands who want to trade-in their current model and join the Ford family, so it's not uncommon to see a few Chevy and Nissan model's hanging around, for example. We even get the occasional luxury nameplate or convertible; both can be a fun option as a flashy all-year or seasonal ride for getting around Fairfax. Preferences for brand and body style aside, all our used vehicles are given a thorough inspection before a sale sticker goes in the window. From the inventory page you can review the CARFAX vehicle report to see mileage, how many owners the vehicle had, if it was owned locally or out of state, accidents, if it was used for personally or professionally, and much, much more. We're more than happy to provide this information so you can feel confident during the shopping process. There are customers that want that additional peace of mind and are still a little hesitant about driving a used vehicle, even if it has a solid CARFAX rating. That's okay! If you feel like this is describing you, we suggest checking out our Certified Pre-Owned Ford selection. To earn the designation, the pre-owned Ford must go through a 172-point inspection, be no older than 5 model years, and have less than 80,000 miles. If all those items check-out then along with the Certified title drivers also get a 1-year comprehensive-warranty, 7-year powertrain warranty, and 24-hour roadside assistance coverage that helps you out if you have any issues in Springfield or across the country. 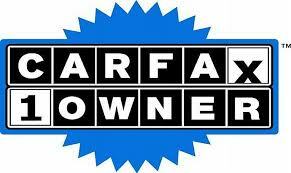 We'd also like to remind you that all new, used, and certified vehicles get the Jerry's Advantage Rewards perks. Program highlights include 2-years of oil changes and tire rotations, lifetime VA state inspections and loaner vehicles, and more! Whether you've already picked out a car you like online, or you just want to see what's available, swing into our dealership and we'll get you out on a test drive. We truly look forward to getting you into a used vehicle that makes you (and your wallet) happy.